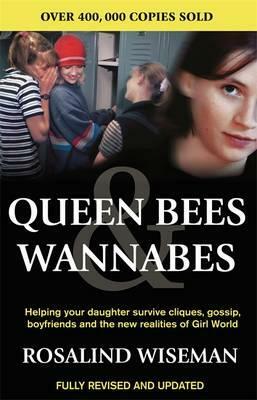 When Rosalind Wiseman first published Queen Bees and Wannabes, she fundamentally changed the way adults look at girls’ friendships and conflicts – from how they choose their best friends, how they express their anger, their boundaries with boys, and their relationships with parents. Wiseman showed how girls of every background are profoundly influence by their interactions with one another. Now, Wiseman has revised and updated her groundbreaking book for a new generation of girls living in the age of Facebook, IM and text message. Packed with insights about technology’s impact on Girl World and enlivened with the experiences of girls, boys, and parents, the book that inspired the hit movie Mean Girls offers concrete strategies to help you empower your daughter to be socially competent and treat herself with dignity.